This site is authored, maintained and hosted by Dr. Eric Karlstrom, Emeritus Professor of Geography, California State University, Stanislaus. This website and www.naturalclimatechange.org (www.naturalclimatechange.us) and www.911nwo.com are meant to function as “digital libraries” that provide information and educational resources to the public free of charge. In 2007 and 2008, I took a sabbatical leave from my teaching position at California State University, Stanislaus to study some aspect of renewable energy, such as the potential for solar power production in the San Luis Valley, Colorado, where I had built a home. At that time, I was a Full Professor of Geography and the courses I taught included Climatology, Geomorphology, Introduction to Physical Geography, and Human Ecology. During this same interval, however, our Crestone/Baca community learned that a Canadian gas exploration company, Lexam, Inc., had applied for permits to drill three 14,000’ gas test wells on the nearby Baca National Wildlife Refuge. Concerned that gas drilling on the new Wildlife Refuge might cause serious environmental damage, I joined a group of volunteers to help write “Best Management Practices” stipulations that would be incorporated into Lexam’s drilling permit. As this work progressed, our small group quickly realized that: 1) the enormous freshwater aquifer underlying the San Luis Valley is far more valuable than any potential gas that might be discovered here, and 2) leakage and pollution gas operations could pollute the freshwater in our aquifer. So our group adopted the name: “Water Water Alliance.” By the end of my sabbatical year, I assembled the research I had completed on issues surrounding the Lexam gas play on a website entitled www.waterwatchalliance.us. These topics included “Background on Lexam’s “drillplay”’, “The Rio Grande Basin and San Luis Valley Aquifer,” and “Geology of the San Luis Valley: What Priceless Treasures Lie Buried Here,” etc. During this past month, web developer, Carolyn Victoria, has helped me develop this new website (www.sanluisvalleywaterwatch.com) which includes many of the articles, interviews, etc. from my www.waterwatchalliance.us website. This new website will also include a series of interviews with local residents and government officials that will focus on current water issues in our beautiful and still relatively pristine San Luis Valley. …… Picture this incredible situation….. A priceless water resource lying just beneath the surface of the parched, wind-swept true desert of the San Luis Valley… So I continued this train of thought in our first interview podcast…. We have already been invaded?! By whom, why, when, where, and how? These and other related issues are explored on this website. ABOUT THE WEBMASTER: Eric T. Karlstrom, Ph.D. BIRTH: June 22, 1949, East Orange, New Jersey, U.S.A.
Eric Karlstrom came to California State University, Stanislaus in 1990, after five years as an Assistant Professor at Northern Arizona University, one year as a Visiting Professor at The University of Kansas, and one year as an Adjunct Professor at the University of Wyoming. At CSUS, in addition, to teaching physical and environmental geography courses (Geomorphology, Climatology, Introduction to Physical Geography, Human Ecology), he has also taught courses cross-listed with the Geology department (Geology/Geography of Soils, Physical and Environmental Geology), and an honors course (State of the World: The Environmental Perspective). 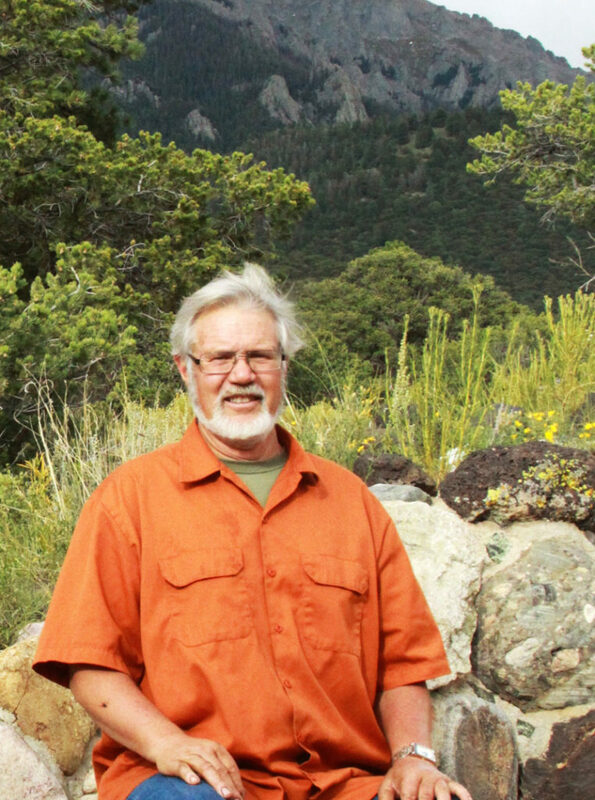 Throughout his career, Dr. Karlstrom has continued his research program in field and laboratory analyses of soils and geomorphology as means of reconstructing Quaternary paleoclimates (climates of the past). This research has involved field investigations in Montana, northern Arizona, Kansas, Wyoming, Alberta, and British Columbia. In the 1980’s, Karlstrom served as an officer (Treasurer) of the American Quaternary Association. He has served on numerous university committees at CSUS and has served as advisor to various student clubs, including the Ecology Club and Students for Social Justice and Peace. 1981 Ph.D. in Soils and Geomorphology, Department of Geography, University of Calgary, Calgary, Alberta, Canada. 1977 M.A. in Soils-Physical Geography, Department of Geography, University of Wyoming, Laramie, Wyoming. 1974 Secondary Education Teaching Certificate, Northern Arizona University, Flagstaff, Arizona. 1971 B.S. in Anthropology, Northern Arizona University, Flagstaff, Arizona. 1967-9 Attended Prescott College, Prescott, Arizona. Late Cenozoic soils of the Glacier and Waterton Parks area, northwestern Montana and southwestern Alberta, and paleoclimatic implications, 1981, Department of Geography, University of Calgary, Calgary, Alberta, Canada, 358 pp. Geography, California State University, Stanislaus. 1988.90 Research Associate, Institute for Arctic and Alpine Research, The University of Colorado, Boulder. 1987.88 Visiting Professor of Geography, Department of Geography, The University of Kansas, Lawrence. Soils, geomorphology, Quaternary environments and climate change; paleoenvironmental interpretation of buried and relict paleosols, glacial and periglacial features, and alluvial terrace sequences, geoarchaeology, energy and related contemporary issues.